Steel coupler is splined on one end and has a 3/4" round hole on the other. 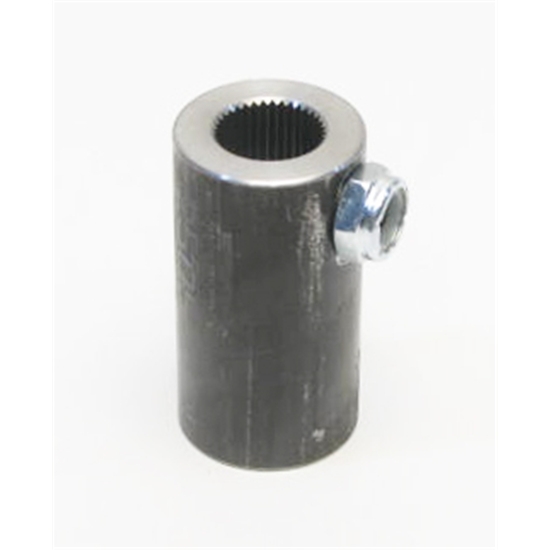 This Mustang II power rack U joint coupler is 2" L x 1.060" D.
When ordering, select applicable hole size/spline needed. Learn more about u-joints and steering systems by reading our tech article. U-Joint Selection and Design.